We can also provide our training at your salon or at a location more convienient to you depending on numbers and availability. Sensationails also delivers educational focused training in our Tammy Taylor products within the college environment, this will allow students to purchase product immediately. we can also tailor the sale of our product to suit the classroom environment and offer discounts for bulk buying direct to the institution. Below is a selection of colleges that we have delivered to and we can provide references on request. There are opportunities for well-qualified nail technicians. Open up the possibilities for your future. 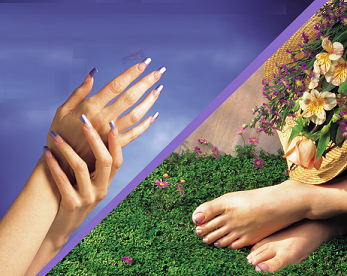 Telephone and arrange to take your certificated training in nail enhancements. To be a successful nail technician it is necessary to develop skills to build the perfect nail sculpture and continue to develop expertise and have the ability to infill expertly in a reasonable time frame. It is our aim to help you reach these goals in order that you can go on to become an experienced nail technical to become self employed, salon employed or freelance.